After sitting in a drawer for a year, I finally built the paper-pinhole camera I bought at The MoMA Design Store in Omotesando. 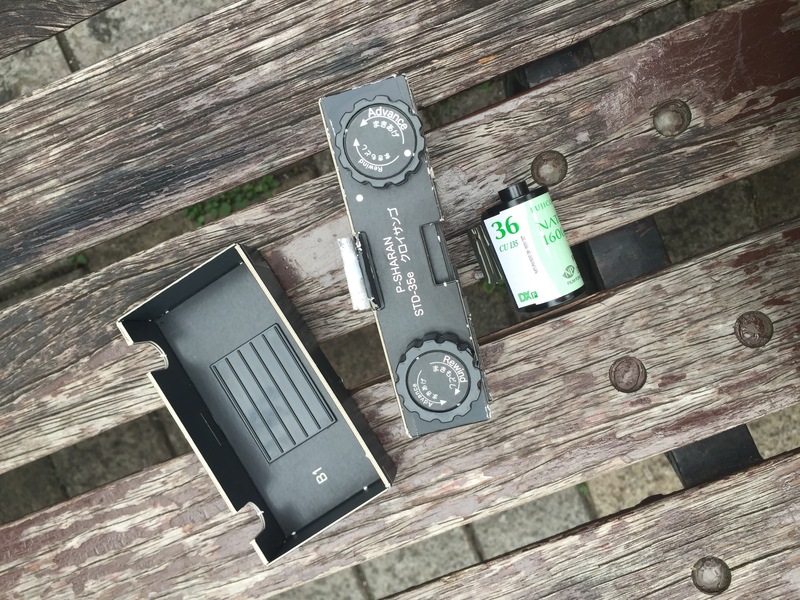 The camera is made from thick cardstock and comes with double sided tape instead of glue. The instructions were in Japanese but the diagrams were enough to go on. It’s pretty basic. The exposure “setting” written on the back of the camera is 2-3 seconds with ISO100 on a day suitable for the sunny 16 rule. But who has time for that? I threw in a roll of Fuji 1600 to deal with the cloudy days and to make the camera easier to shoot hand-held. I like the idea of tripods, I don’t like the weight. Plus you can toss a camera in your bag for the day, but a tripod requires planning. I got my first roll of film back. It actually worked better than I expected. That bar was quite low actually. I thought the film would all be blank or light leak city. Here are the images unedited, except for the addition of lots of dust from my scanner. I only realised now how much it needs a cleaning. Studio at Shiro Oni in Onishi, Gunma. The photo where I realised there is a balance between a quick exposure and actually lifting the shutter enough. Wondering about depth of field and minimum focal distance. Double exposure. I’m SURE I wound it. There was a cool dead cicada but… angles etc. Bread. Interesting to see the lighting. Less fuzzy focus than I expected. When building the camera, I didn’t put in the frame part on the film. I don’t get a crisp, classic 35 mm frame. Instead I get a longer image with a lot of vignetting. Advancing the film is an art. It’s not a simple turn the knob twice as the instructions say. I ended up wasting a lot of film. I didn’t really get any amazing images this go-round. I pretty much just took photos when I remembered the camera was in my bag. The camera works and I like it well enough that I might actually plan for a day of tripod carrying. I can see some potential for better photos with a more thoughtful approach to subject matter. 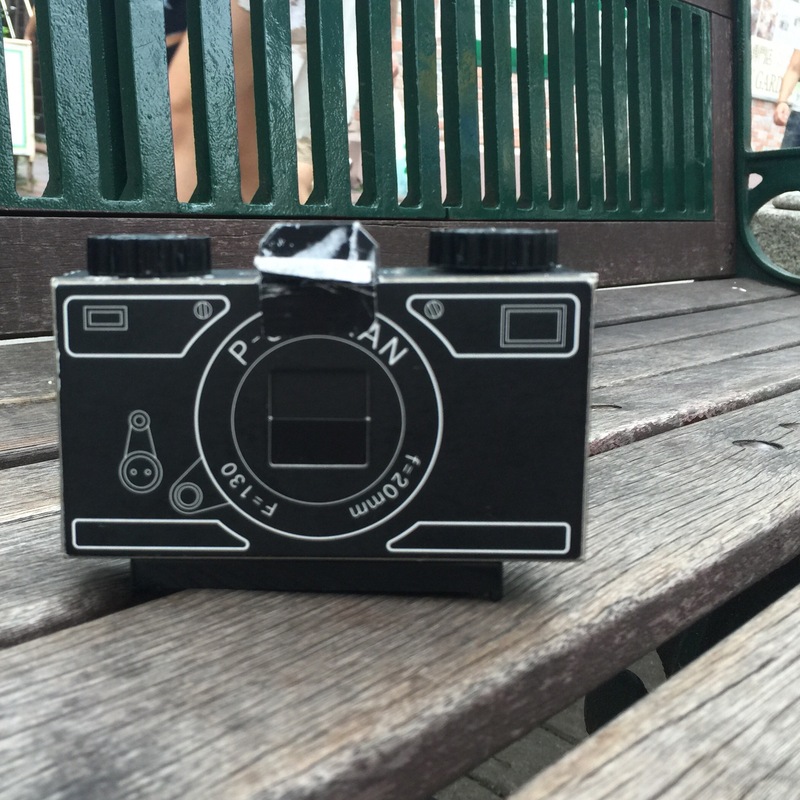 This entry was posted in art, camera gear, creativity and tagged analog photography, camera, DIY, photography, pinhole, pinhole photography. Bookmark the permalink.